If you've ever wondered how to create the geofence frames for Snapchat that's what I'm going to show you how to do today. Snapchat makes it very easy. They have a page you can visit that will explain all the details you need to follow in order to get your design uploaded so others can use it in their snaps. If you go to this link Snapchat provides a list of things you should make sure you are following in order to get your image approved. The graphics that you create are not allowed to have logos are trademarks and they can't be simple photographs, they do want you to be very skillful at your designs and if you are an amateur most likely your design will not pass the overall submission requirements. By going to this link you can find a template for Photoshop and illustrator if you would like to work from the template but it's not absolutely necessary. All you have to do is create a new document in the either Photoshop or illustrator that is 1080 pixels wide by 2340 pixels tall. If you download the template it does make it easier to see how far from the bottom and top you need to keep your design so I do recommend downloading it but once you have downloaded it and used it it will become easier for you to create more filters after you have seen where you need to place your image the first time. They do have a file limit at 300KB and it has to be in PNG file format only. It must be a PNG because of the transparency issue, the image should be see-through around where the design is not so that your image will show through and it will be a perfect overlay. Most of all the big cities have already been designed for on Snapchat so if you live in a small City and you find that you do not have a geofence filter setup for your city or your area of town you might be able to design an image for you and your community to use. This is where I found that you can slip your designs in and become easily accepted because there are no images for that city or town. Keep in mind to keep it very creative and do not just use text that says the city or town’s name. Snapchat wants you to be clever and creative with your designs. If you flip through some of the already created designs in Snapchat you can see what others have created and what you might want to create. Once you get to the upload page you simply upload your design with the requirements that I said above and you choose your location on the map. In the search box all you have to do is type in the city or the location in your city that you are designing for and you place a pin on the map where you want people to be able to use the geofence image. You can set the diameter of the area where people will find the image when they pull it up on Snapchat. As I said above Snapchat does not like you to do a broad cover all image, they want it to be specific to the city or location in the city. They do not want filters designed for entire states or countries. Just think keep it small and keep it simple and you should have no problem creating a great design to get accepted. After you have uploaded your image and you have shown the area of town within the city that you want to be covered you hit submit and that is it. You simply have to wait on Snapchat to approve your design which typically in my experience can take around three days and you will get an email to know if your design has been accepted. You do not have to have a Snapchat account but it is helpful because once your image is approved you will be able to get analytics for people using your design. It's pretty simple other than that, simply design, upload, choose your area of town, and hit submit. 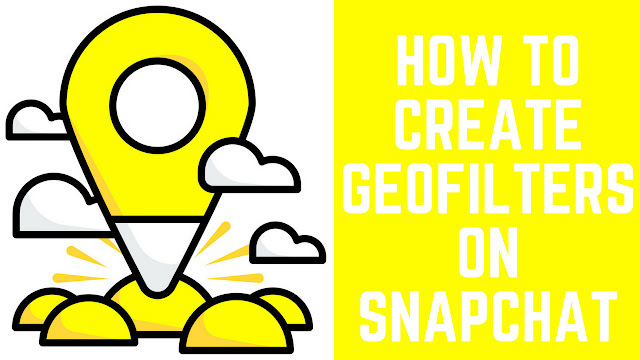 I hope this helped explain how to upload your geofence image to Snapchat. If you have any questions please leave them in the comments below. If you would like to contact me and add me on Snapchat click here my name is jakerhodes1001.